Vinny is a gem. 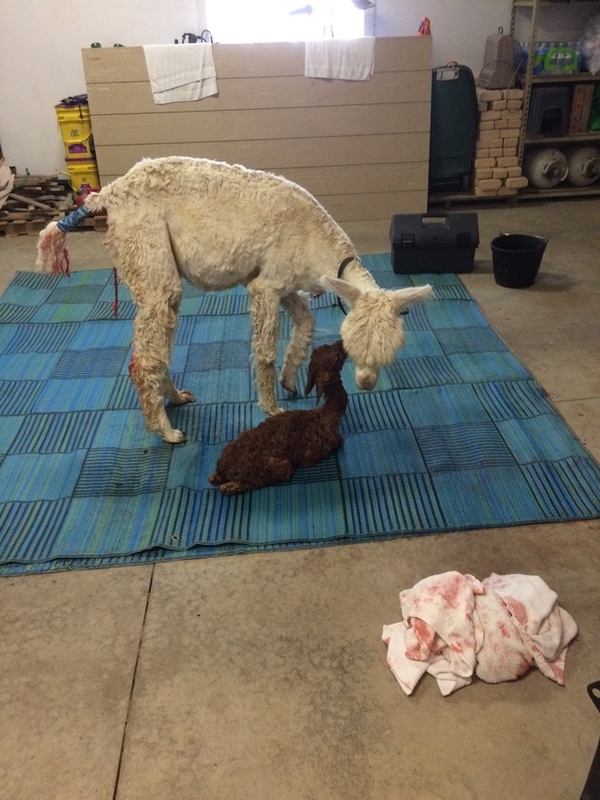 He has produced cria with great fiber. 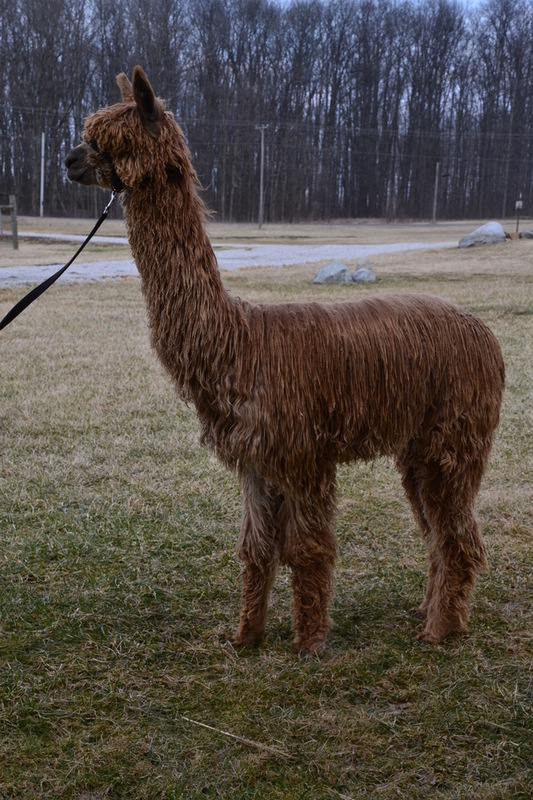 His first cria is RRAF Mocha Joe, recently sold). MoJo's fiber was the big winner in multiple show in 2014 and 2015. 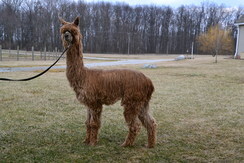 He also took the coveted color championship at the Suri Network All Suri Fleece Show. Vinny is a good producer and his genetics would be a plus on anyone's farm. 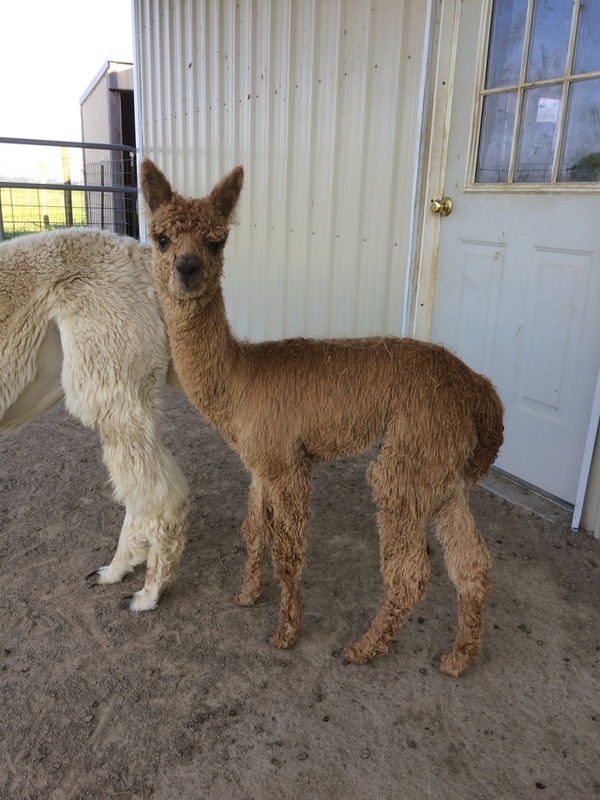 Cristabella is expecting her and our first cria of 2018 in mid June. Cristabella is a sweet girl with loads of fiber. She is very fine with deep luster. 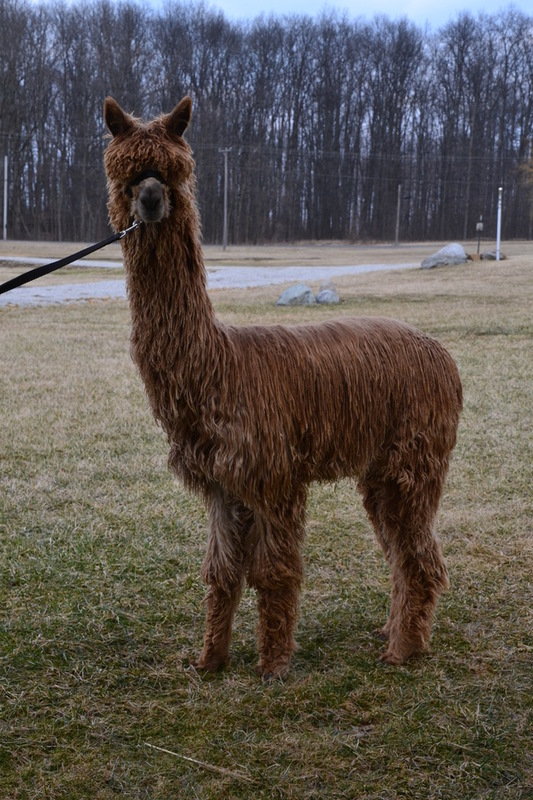 You can see her grand sire, Crown Royale throughout this wonderful alpaca. She is also the full sister to our multi champion, RRAF Rohan's Just Adorable. This boy is full of fiber and personality. 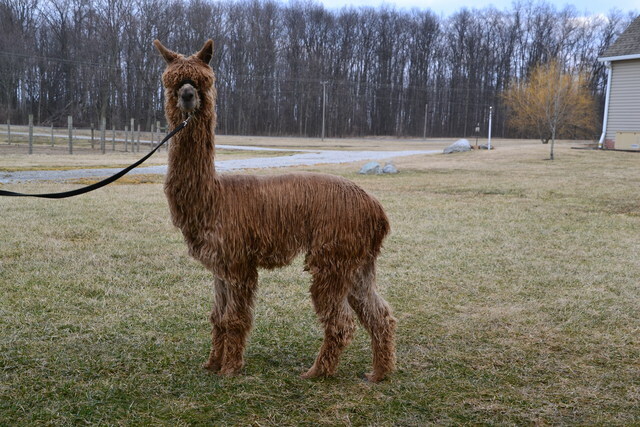 He is a solid dark fawn throughout his locking fleece. His standing presence is showing perfect confirmation.